What is your buying power? It is the combination of your credit-worthiness and how much you can realistically pay for a home. First, you need to understand the hidden costs of buying a home. You will need to save not only for the down payment of your home -- which is typically between 10% - 20% of the offer price -- but also for any additional transaction fees, such as transfer tax, PMI, title insurance, and legal fees. Then you need to know what you can realistically afford each month to understand how much house you can buy. Your mortgage rate will depend on your creditworthiness -- if you have a high credit score, your lender will likely approve you for a lower mortgage rate, which can save you thousands of dollars per year in interest. Get a loan professional to check your credit score for you. A professional can give you a clearer idea if your score is in the ‘good’ range, or if you need to do some credit cleanup before getting a mortgage preapproval. That’s why it’s important to hire a highly competent real estate agent who knows the specific market. 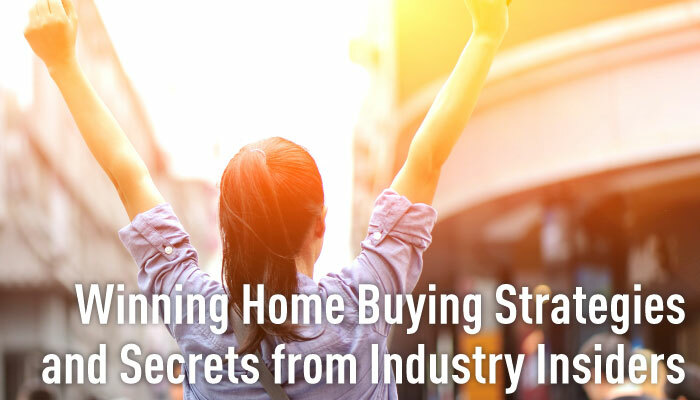 You want to make sure that the professional who you’re working with really understands what the market is like and will help you find the home that you desire. A buyer’s market analysis report outlines which neighborhoods are still up and coming -- with potential for increased property value -- versus those that have peaked with inflated home prices. Having this analysis at your fingertips will help you know if a home’s list price is above comparable properties so you don’t overpay for a home. Even in a hot market, there’s never a perfect time to buy a home. It can take a while to know exactly what you like, and you may have to look at 10 or more homes before you can recognize what suits your lifestyle best. While you’re shopping, take photos of your favorite properties and the details that you liked the best so that you can remember what you liked. When you start shopping, have a one-hour initial consultation with your realtor. Give them every single detail that you know about your lifestyle, buying power, needs, wants and desires for your home. The more detail you can provide, the easier it will be for them to help you find your future home. Your agent may also know of exclusive listings not available to the general public. If you love it, make the offer. Otherwise, that dream home may disappear faster than you think, especially if you’re buying in a hot market. Once you’re in the negotiation process, it’s essential that you get a third-party inspector to run a thorough home inspection. The inspector will be looking for major structural issues, including problems with the foundation, plumbing, and electrical systems. Your inspector should be extra picky, pointing out the most minor faults. Make sure to have the inspection conducted before it is too late to back out of a deal. If there are any major structural issues, you may be able to make the seller repair them as a contingency to solidifying your offer. Minor issues that you can repair on your own may be points for negotiating a lower offer. Don’t raise any red flags with your creditworthiness in the weeks before closing. Any one of these moves could mean that you’re denied the loan and the deal falls through -- even if you’ve already been preapproved! ●Keep your spending to a minimum and don’t make any major purchases before closing -- that includes buying furniture, or a car, truck, or van, or any excessive charges on your credit card. ●Keep your bank accounts stable. Don’t change banks, spend any of the money you have set aside for closing, or make any large deposits to your accounts without checking with your loan officer first. ●Keep your employment situation stable -- do not change jobs, quit your job, or become self-employed. Any sudden change in your income can have that preapproval offer rescinded. ●Do not cosign a loan for anyone. It will open an inquiry into your credit and add to your debt, which could raise your mortgage rate and cost you thousands of dollars over the life of the loan. Looking for a home in Southern Nevada? Let us help you find the home of your dreams. We’re well versed in the our local real estate market, and we can provide you with a buyer’s market analysis to help you find the right neighborhood for you. Contact us today.